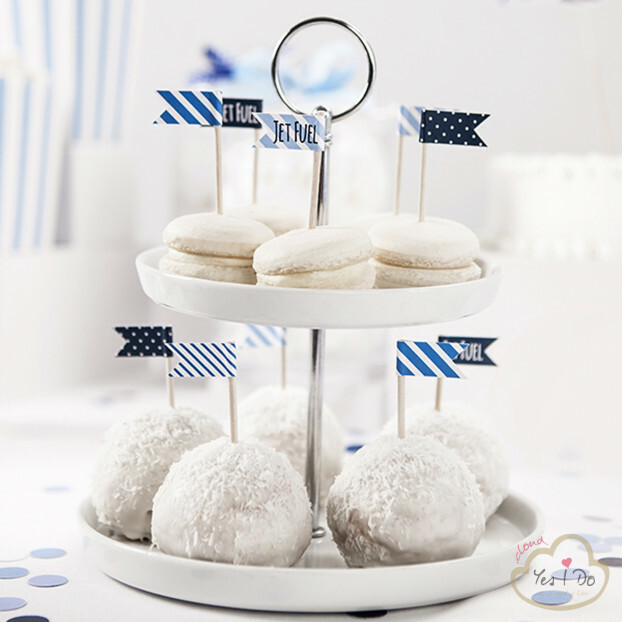 Cupcake Toppers Mini Flags Sweets, mix, 7cm, 1pack DESCRIPTION: Cupcake Toppers Mini Flags Sweets, mix of designs, height 7 centimeters. Packaging: 1 pack contains 6 pieces. 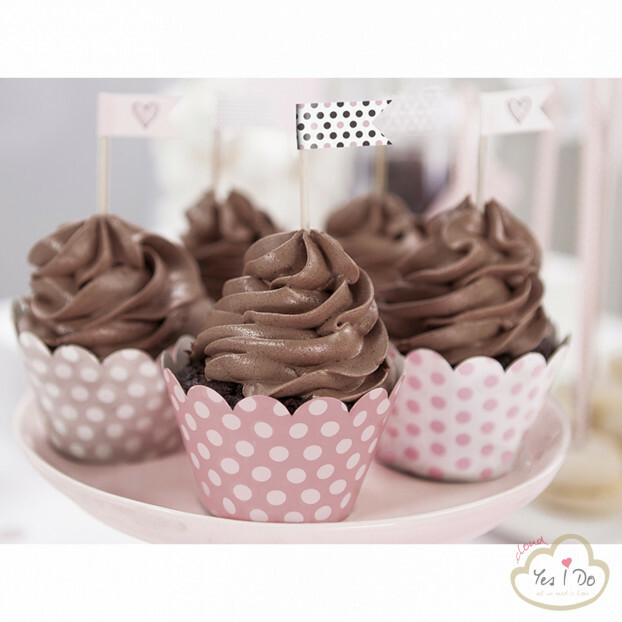 Cupcake Toppers Mini Flags Little Plane, mix, 7cm, 1pack DESCRIPTION: Cupcake Toppers Mini Flags Little Plane, mix of designs, height 7 centimeters. Packaging: 1 pack contains 6 pieces. 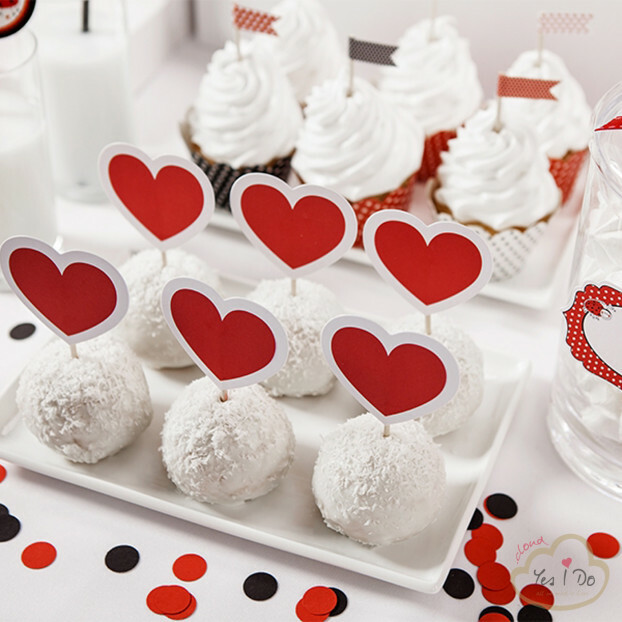 Cupcake Toppers Heart, 10cm, 1pack DESCRIPTION: Cupcake toppers Heart, height 10 centimeters. Packaging: 1 pack contains 6 pieces. 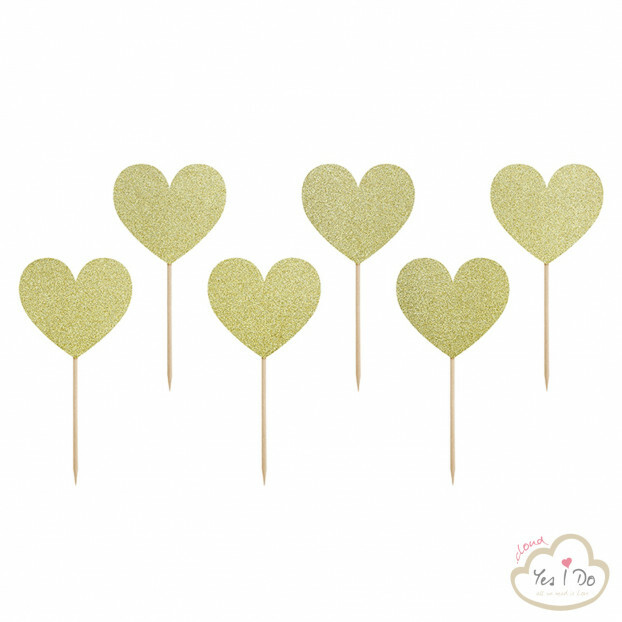 Cupcake toppers gold glittery, 1 pack DESCRIPTION: Cupcake toppers gold glittery, height approx. 11 cm. Pack contains 6 pcs. 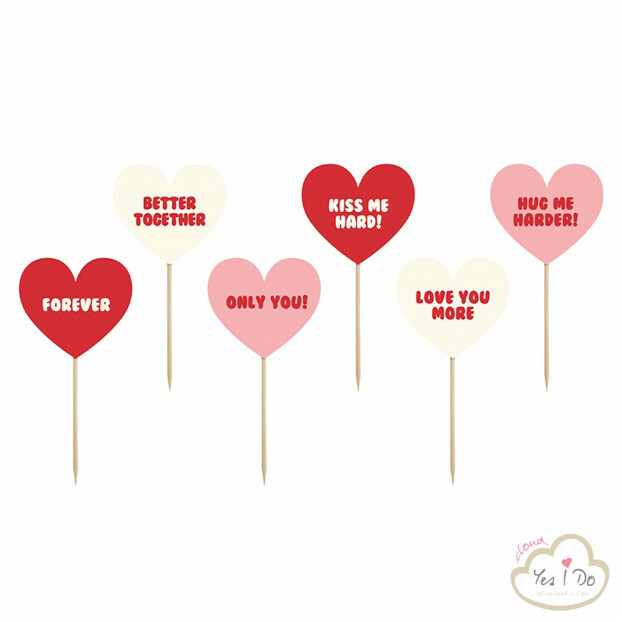 Cupcake toppers Sweet Love - Texts, 1pack DESCRIPTION: Cupcake toppers Sweet Love - Hearts with texts, mix of designs, height approx. 11 cm. Pack contains 6 pcs. 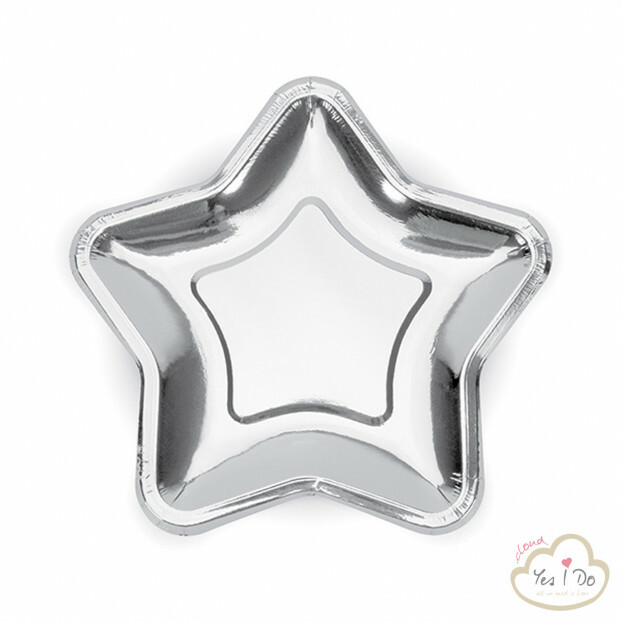 Plates Star made of silver metallic paper, diameter approximately 18 centimeters (7''). Packaging: 1 pack consists of 6 pieces.